Gov. Bruce Rauner signs a long-awaited school funding bill that will include higher property taxes for Chicago homeowners. Controversy remains over tax breaks for private school scholarships. Illinois Attorney General Madigan sues Chicago over police practices with Mayor Rahm Emanuel by her side in an unlikely partnership. Chicago City Council cracks down on Uber and Lyft screenings and puts a cap on surge pricing. And Police Superintendent Eddie Johnson gets a new kidney from his 25-year-old son. In sports, Javier Baez steals home to help the Cubs sweep the Pirates, and the Bears are optimistic for their NFL opener. The conversation continues in our web-extra video. 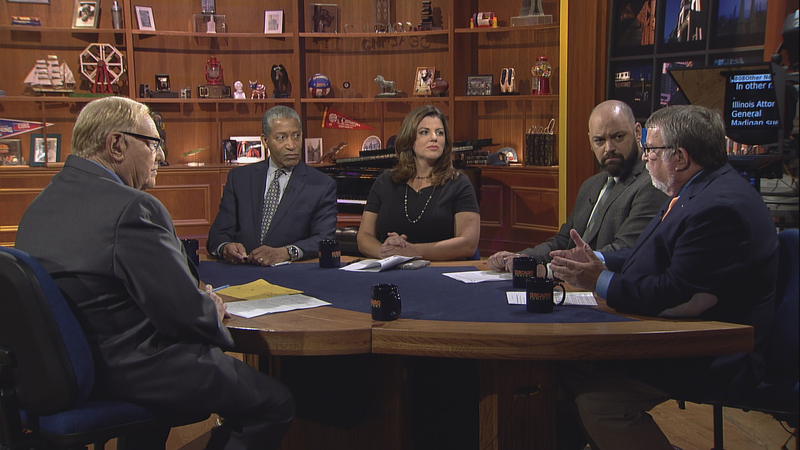 This week, Weisman and guests discuss the 2018 Illinois governor’s race.